Welcome to the October update of Tauriko for Tomorrow. Building a new community at Tauriko West requires a lot of pre-planning and work to get all our ducks in a row. 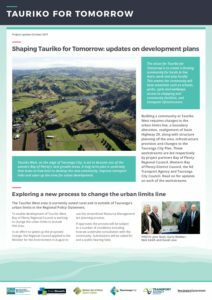 infrastructure provision, and changes to the Tauranga City Plan. These workstreams are being led by our project partners. Click the image below to view the latest newsletter and read updates on each. Tauriko for Tomorrow is a collaboration between Bay of Plenty Regional, Western Bay of Plenty District and Tauranga City Councils, and the NZ Transport Agency. 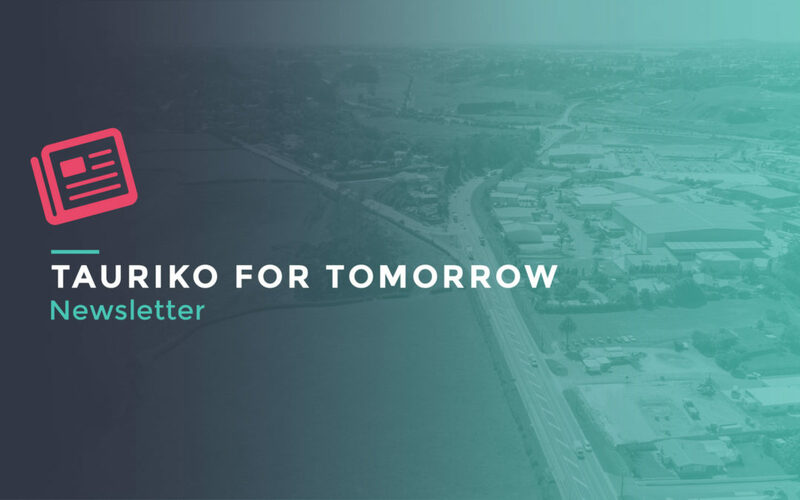 The vision for Tauriko for Tomorrow is to create a thriving community for locals to live, learn, work and play locally. This means the community will have amenities such as schools, parks, cycle and walkways, access to shopping and community facilities, and transport infrastructure.